Metadata » Libri of Aleister Crowley » magick-without-tears » Chapter XVIII: The Importance of our Conventional Greetings, etc. 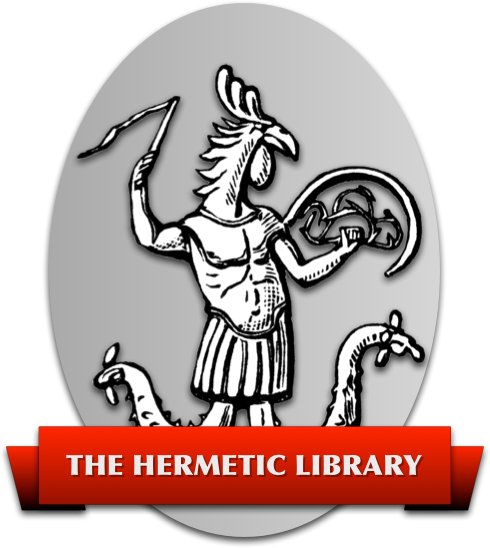 Hermetic Library » Crowley » Magick Without Tears » Chapter XVIII: The Importance of our Conventional Greetings, etc. From time to time I have exhorted you with mine accustomed matchless eloquence never to neglect the prescribed Greetings: but I think it just as well to collect the various considerations connected with their use—and in “Greetings” I include “saying Will” before set meals, the four daily adorations of the Sun (Liber CC, vel Resh) and the salutation of Our Lady the Moon. I propose to deal with the general object of the combined rituals, not with the special virtues of each separately. The practice of Liber III vel Jugorum1) is the complement of these grouped customs. By sharp physical self-chastisement when you think, say, or do whatever it is that you have set yourself to avoid doing, you set a sentry at the gate of your mind ready to challenge all comers, and so you acquire the habit of being on the alert. Keep this in mind, and you will have no difficulty in following the argument of this letter. When you are practicing Dharana2) concentration, you allow yourself so many minutes. It is a steady, sustained effort. The mind constantly struggles to escape control. (I hope you remember the sequence of “breaks.” In case you don't, I summarize them. Immediate physical interruptions: Asana should stop these. Atmospherics—e.g. voices apparently from some alien source. Aberrations of the control itself; and the result itself. (Remember the practice of some Hindu schools: “Not that, not that!” to whatever it is the presents itself as Tat Sat—reality, truth). Need I remind you how urgent the wish to escape will assuredly become, how fantastic are the mind's devices and excuses, amounting often to deliberate revolt? In Kandy I broke away in a fury, and dashed down to Colombo with the intention of painting the very air as red as the betel- spittle on the pavements! But after three days of futile search for satisfying debauchery I came back to my horses, and, sure enough, it was merely that I had gone stale; the relaxation soothed and steadied me; I resumed the discipline with redoubled energy, and Dhyana dawned before a week had elapsed. I mention this because it is the normal habit of the mind to organize these counter-attacks that makes their task so easy. What you need is a mind that will help rather than hinder your Work by its normal function. This is where these Greetings, and Will-sayings, and Adorations come in. It is not a concentration-practice proper; I haven't a good word for it. “Background-concentration” or “long-distance-concentration” are clumsy, and not too accurate. It is really rather like a public school education. One is not constantly “doing a better thing that one has ever done;” one is not dropping one's eye-glass every two minutes, or being a little gentleman in the act of brushing one's hair. The point is that one trains oneself to react properly at any moment of surprise. It must become “second nature” for “Do what thou wilt shall be the whole of the Law.” to spring to the forefront of the mind when one is introduced to a stranger, or comes down to breakfast, or hears the telephone bell, or observes the hour of the adoration, (these are to be the superficial reactions, like instinctively rising when a lady enters the room), or, at the other end, in moments of immediate peril, or of sudden apprehension, or when in one's meditation, one approaches the deepest strata. I am not your old and valued friend, Adam Qadmon, the Perfect Man. I am a pretty poor specimen. I am nothing to cable about to Lung Peng Choung, or Himi, or Monsalvat. I do forget now and again; though, I am glad to say, not nearly as often as I used to do. (As the habit is acquired, it tends to strengthen itself). But often I deliberately omit to do my duty. I do funk it. I do resent it. I do feel that it's too much bother. As I said above, Adam Qadman is not my middle name. Well now, have I any shadow of an excuse? Yes, I have, after a fashion; I don't think it good manners to force my idiosyncrasies down people's throats, and I don't want to appear more of an eccentric than I need. It might detract from my personal influence, and so actually harm the Work that I am trying to perform. . .